In A Tale of Two Cities, Dickens says of the days of the French Revolution, “It was the best if times, it was the worst of times…” The same could be said of the policies and proposals being considered in response to the kamikaze attack upon the United States by fanatical Islamic terrorists. Michael Cherkasky, president of Kroll, Inc. Security Consultants, told the New York Times that each American could be issued a computerized smart card allowing authorities to immediately ascertain the identity of individuals at specified security checkpoints. It’s argued these cards could cut down on crime and possibly prevent another terrorist attack. These cards would provide more than name, address, and mugshot of their respective holders. The New York Times notes these computerized cards would collect information as to one’s location, financial activity, and just about any other kind of electronic information you could possibly imagine — including the speed at which you are traveling down the highway, according to the September 19th report. Some of this stuff is none of the government’s business, even if there is a need to conduct a rigorous campaign against the threat of terrorism. Such a card would end up penalizing perfectly legitimate activities by bringing them to the attention of authorities. For example, what’s going to happen to armchair scholars and researchers interested in the study of violent revolutionary phenomena from an academic social science perspective when these otherwise harmless bookworms check out a library book on terrorism or weapons of mass destruction? I should not be sent to jail for investigating a Tom Clancy novel detailing acts similar to those perpetrated by the September 11th terrorists. Some may dismiss this as an overreaction, but it is not a farfetched scenario. During the late 1980’s, the FBI operated an intelligence program targeting the library records of readers daring to express a bibliographic interest in Eastern Europe. And as recently as the Clinton/Lewinsky scandal, prosecutors sought to subpoena a list of the reading materials purchased by that particular bawdy intern. Just think how much more widespread and incriminating such a program would be in an environment of heightened security with the information readily available in a single database. Frankly, if the stuff has been deemed appropriate enough to sit on a library shelf, it’s nobody’s business who checks it out, whether it’s the Pope and Billy Graham or Bin Ladin and Hussein themselves. The problem is not so much that this information alone would be used to nab terrorists, saboteurs or other murderous malcontents, but rather that it would be used in pursuit of other liberty–inhibiting agendas aimed at social engineering. For example, if all commercial transactions and economic exchanges are to be cataloged in a gargantuan database, what’s to stop the government from penalizing those of us who eat too many Big Macs or who buy more sugary snacks than we should at the local supermarket? What’s to stop the government from rationing gas or denying a car loan to individuals who bureaucrats deem to go on too many extraneous daytrips? Even worse, what’s to prevent this information from being used by employers and insurance companies against overweight or sickly employees or beneficiaries? Enthusiastically endorsing the need for a national ID system, this Congressional leader is reported by Matt Drudge as saying, “We are in a new world. This event will change the balance between freedom and security.” Yet this Missouri Democrat has no intention of tipping the scales in favor of security when it comes to saving lives, as Gephardt vociferously opposes plans to arm pilots to defend against highjackers. Matt Drudge also quotes British Home Secretary David Blunkett as saying on the BBC that we cannot be hamstrung by an excessively “legalistic” interpretation of human rights. In other words, we are going to end up losing our most fundamental constitutional axioms when “Congress shall make no law” no longer means Congress shall make no law. It’s also argued that a national ID would produce the spin-off benefit of curbing all forms of illegal immigration, not just those with a propensity towards suicidal martyrdom. With the concessions made to multiculturalism over the past several years and the obsequious praise lavished upon certain immigrant groups for undermining traditional American culture, does anyone honestly believe that the U.S. government will use these ID’s as a catalyst to deport illicit émigrés? As is being done at certain banks that waive documentation requirements to allow illegals to open special accounts and in states granting them drivers’ licenses, the Federal Government will probably grant the ID’s willy-nilly, without any proof of legality whatsoever, to members of certain ethnic groups with whom politicians of either party are rushing to curry favor. Just don’t get caught on an airplane if you happen to belong to a group without the same degree of clout in the voting booth. We will launch our new website dedicated to our Media Division and our Subdivisions. Everything media will be represented on it, from the Celtic Cross Global PRESS Corp, the Celtic Cross Radio Network, The Christians Underground Radio Network, the Celtic Cross TV Network and the Christians Underground TV Network along with space for notifications, PSA’s, Events and Campaigns. as well as help support our ministry and mission efforts. So be sure to be watching out for (christiansundergroundnetwork.com). Coming soon to a search engine and browser near you! We go live with the site Monday morning at 10:00 AM. Relief, Peace and Stability to Burundi and Africa. You can do something to help spread Christ’s love to those in desperate need of your loving, caring, support and aid. Help is needed either with financial aid or physical effort. Thank you and God Bless you and those who contribute today. This entry was posted in CCM's Virtual Chapel, Celtic Cross Gaurdian Gazette, Christian Warrior Network, News and politics, Religion and tagged Africa, Burundi, Celtic Cross Foundation of Ministry, Operation. Bookmark the permalink. Folks join us tonight at 8:00 PM (EST) for Bridging the Gap on the Christians Underground Network of CCRN, with Bp. Todd Smith. 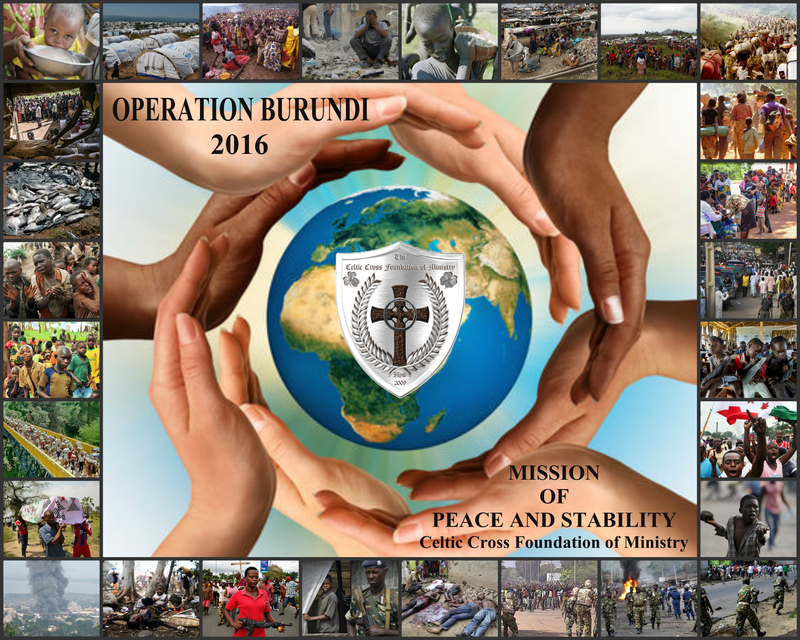 He will be speaking live with Patriarch +++Andrew Patrick about the CCFM and the mission of Operation Burundi and the Celtic Cross Church Movement on the world stage. Call in’s will be accepted, and added to the program and discussion. So be sure to tune in “LIVE” and here about the CCFM from the vision instilled into +++Andrew Patrick’s heart by our Lord Jesus Christ. Where it started and the direction the vision is taking the CCFM into the future. This entry was posted in Celtic Cross Radio, Christian Warrior Network, News and politics, Religion, Spiritual insight and tagged Bridging the Gap, Burundi, Celtic Cross Radio Network, Christians, Operation, Radio Network, Underground. Bookmark the permalink. I come to you with a special Decree to be fulfilled by all Clergy, Knights and Dames, Chaplains and private citizens who follow and support what we are doing in our Lord’s Holy and Blessed Name here in the United States and around the world. It is the world I come to you this evening for. To ask you to help this ministry and our Church Plantings around the world in our humble effort to spread the Love, Peace and Grace of our Lord to those who have lost hope and had the world as they knew it, ripped from it’s very foundation and uprooted them to far off lands seeking help and finding some but mostly adversity and evil along their way. I come to you with a heavy heart and great burden, one that has cut deep into my soul and spiritual essence. That being those of a small sovereign country called Burundi, Africa. The people of Burundi have been facing a major Civil War for over a decade now and has seen genocide committed for one standing firm on the belief of individual freedom and democracy. The people have lost so much of their life and hopes and even dreams do to the atrocities committed by those elected to give them hope, fairness and a new life. Instead they have been met with a diminished way of life, some isolated, some segregated, some cast into slavery and servitude and some even unto death for standing up against the very law and governance that swore to protect and serve them. I was asked more than a year ago to try to help and through the last year and several months, I have been looking into the situation unfolding in Burundi and followed other groups and individuals that have seen first hand what I speak to you about this evening. My heart is heavy for the people of Burundi as it is for many cultures around Africa and the rest of the world, even here in the United States of America where we to have people persecuted for their belief and shunned because they have not wealth or education or even good health, but are aging and trying to survive just like others around the world, even in Burundi. To I ask you to quit looking the other way. Keep in mind that the worlds problems are just as important to address as our own personal and even private issues. We are all interconnected we are all brothers and sisters even though we have different ways, customs and traits. We who call ourselves Christians know that what I say is true, we are all indivisible under God. One God, the God of Abraham, Jacob, and Isaac. The Celtic Cross Foundation Board of Directors and I have decided to commit every resource at our disposal to help the citizens of Burundi, the Refugees from there which are now scattered throughout the neighboring countries around that tiny nation. Millions have been displaced from their homeland and are wearing down the resources of the countries next to it as people by the hundreds and even thousands cross into their sanctuary borders trying to flee the death and destruction they left behind. Yes, there are a few groups and organization doing all they can to help in and with this crises. But it is not enough. More needs to be done and more can be done. Keep in mind that the tiny nation of Burundi is the key to almost all that is going on in Africa that is causing it to be unstable. Greed, is but one cause that is the issue. And for the fact that people like you, either have not heard of what is happening there or maybe you just don’t care because it doesn’t affect you on that same personal level it does them. Well that is where you are dead wrong. You should not only care but should do all you can to help create an environment that is conducive to all people. A place where true democracy can flourish for the betterment of all people, not just a few. I know many of you do care and, that you want to do something to leave this world better off than when you were here. That is for the next generations of family and friends. Trust me when I say that enough is NOT being done. For if we continue to ignore what is happening elsewhere in the world, even in a tiny country like Burundi, how can we look God in the face on our judgment day and say honestly, that we did all we could. Knowing in our heart that we could have done more and not sacrifice our own comfort and security. Remember, God is the seeker of mankind’s heart and mind and knows all. So he truly knows if you have or have not. I am not judging you but you are being judged on this as well as all things you experience, do and don’t do in your life. That is just the facts of the matter. Yes, I am trying my hardest to get you to move and help in something that is truly bigger and more monumental than most likely anything you have done before, excluding our war-time veterans and their families. The world and the Christian civilization is under attack in many ways. Isn’t it time to truly stand up and be counted worthy to be called Christian and a follower of our Lord Jesus Christ for the world. For by helping the world, we help ourselves and future generations. It is time to STOP being selfish and self-centered. There is no, me in the Trinity. But rather One God, One Son and One Spirit. For there is something you can do and you should be doing it. Otherwise you are not doing the will of our Father in Heaven. I know what I have said thus far may seem harsh, unfair and even by some who read this as insensitive. But you are so very wrong. What is harsh, unfair and insensitive is what is happening to the people of Burundi and elsewhere in the world. I am merely trying my humble best to provoke your inner spirit to do as I have done and investigate the situation at hand and get involved. I do not intend to hurt or intimidate you to get involved but unlike many in the world today that are having their freedoms and liberties ripped from them, is more than you or I, will most likely go through in our lifetime. That is not to say it could not happen, for it can and just as easily so. Though many would fight back the best they could. It is that, that makes you and many relate and understand the seriousness in my words here. It is time and we must no longer look the other way. People are dyeing, struggling and fighting for their life and freedom to live and provide for their families and loved ones. So try to walk a mile in their footprints before you do decide to not get involved and help in some way. Even the smallest gesture contributed by many will add up to be a great deal by those who have nothing. So with all of this stated, I am hereby committing the CCFM and every department and division to commit to doing all they can to help those who are suffering and lost. Who only want peace and to be able to return home to live in safety and security. Those who wish a better life for themselves and their families and loved ones just like we have in varying amounts. We can make a difference, YOU can make a difference, we all together, can make a positive difference. Thing is, we must first commit individually as well as collectively and move on from there. Yes, this is a massive undertaking and commitment of the next 5 years to see it through. I know we will be able to make a positive difference not only for the people of Burundi, but also for our world and it’s future. We here at the CCFM pray every Tuesday evening as we did this evening and we pray one particular verse within it that states; “You are the salt of the earth. You are the light of the world. Let your light so shine before men, that they may see your good works and glorify your Father in heaven”. Ladies and Gentlemen, Brothers and Sisters, I believe with my whole heart that this is true and that what we do from here on, will make the world a better place. Remember, Christ was but one person and look at the profound difference He made on the earth for all mankind. You too can be part of this vision of a safer and free Burundi. And help stabilize the Eastern and Central Africa, which will have a ripple effect on the whole continent of Africa before we are though. So go to our Ministry and Church website at the link below and see what we see and let us know how you wish to help. Remember the only thing stopping you, is you. Nothing else. Thank you for your time, prayers and support in helping fellow-men and women and their children have a dream of home, security, prosperity and most of all love from you to them for their success. Any question, comments or concerns, please ask. Resources are available to help you and your group or organization. Just please don’t delay, lives are depending on what you choose to do this very minute and into the future. Celtic Cross Foundation of Ministry. This entry was posted in CCM's Virtual Chapel, Celtic Cross Gaurdian Gazette, Celtic Cross Radio, Celtic Cross TV, Christian Warrior Network, News and politics, Religion, Spiritual insight, Uncategorized and tagged Africa, Burundi, CCFM, Operation. Bookmark the permalink. When was the last time a major news weekly (if it hadn’t already ceased print publication) published a cover story criticizing welfare recipients (especially minorities) for being “lazy and entitled narcissists”? If an individual is residing with their parents, it can inoculate them to an extent against a number of social or mental pathologies that many liberals and secularists applaud as the “New Morality”, which isn’t quite so new anymore. Such allegedly cutting edge ethical reflection is beginning to sag in many places like the aging hippies that thrust their decadence into the face of American popular culture and public awareness. 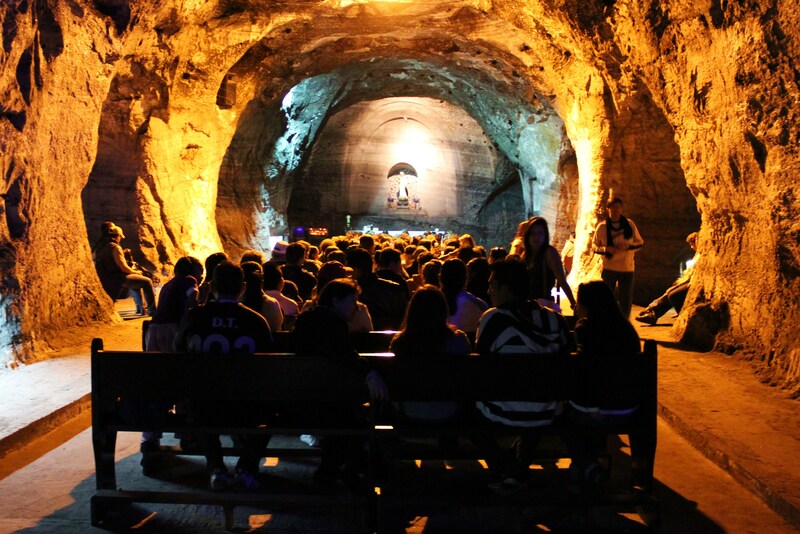 For example, sin can take root in any of our lives in the dark corners that we would least expect. However, the young adult living with parents that expect those living under their roof to abide by what would be considered a broadly traditional morality will probably have to work a lot harder at things such as boozing and generalized carousing if those are the deepest longings of one’s heart beyond those brief temptations that plague us all in weak moments. This is evidenced in the numerous graduation exhortations delivered on the part of the Obamas. In these orations, the President and his consort admonish the students not to pursue private sector careers marked primarily by what they consider the material comforts that accrue as a result of success and achievement in that particular sector of human endeavor. Instead, those persuaded to embrace President Obama’s vision of the good life will give themselves over to what is considered the public sector such as government and forms of the nonprofit activism fomenting revolutionary upheaval such as community organizing. During such periods in American history, the nation is better served by a force of volunteers that have decided to pursue military service as a life’s calling or only for a short season. That way the number is sufficient so that the country is protected but not so large that the interests of the military threaten the well being of civilian institutions.